On Saturday, September 29th, Sacred Hearts Academy's Lancer Robotics Team 2437A all-freshmen team composed of Ayla Hakikawa, Kammiee-Marie Ardo, and Nanami Mehring gathered at Island Pacific Academy for a VEX Robotics Competition. In the qualification round of the 27 teams competing Lancer Robotics ranked fifth. As they entered into the elimination rounds, Sacred Hearts Academy (SHA) joined in an alliance with Island Pacific Academy (IPA) Team 4442A. The SHA/IPA alliance proved to be formidable, beating the rank one team alliance composed of two Pearl City High School teams not once, but twice during the final rounds naming the alliance the Tournament Champions! 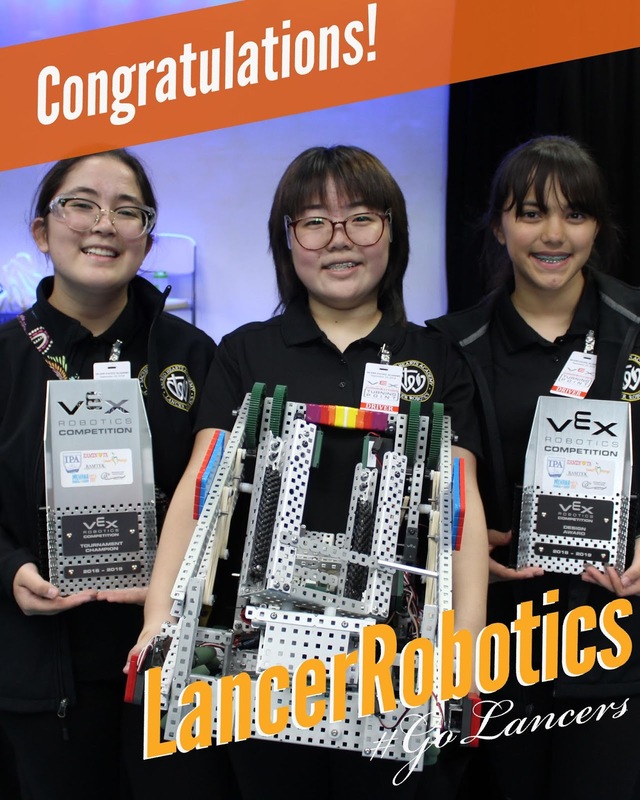 In addition to the top prize and qualifying for the HECO VRC State Championship, Lancer Robotics was also bestowed the prestigious Design Award! We invite the Academy's entire 'ohana in celebrating this outstanding achievement -- way to go girls! How Does The Garden Grow? Lush & Green! Starting College, Early That Is!